This recently revamped app has been an essential resource for travellers over the last few years, but now it boasts even better features and functionality as well as a brand new interface. 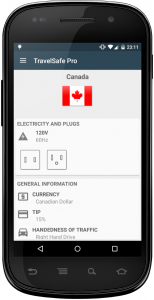 This app offers crucial information at the touch of a button for every country around the world. So, should you get in a pickle and need to call emergency services, or your embassy, you will have the numbers you need right there and then. The app also has a host of other features that frequent travellers and tourists will find useful! The majority of the functions don’t need any internet connection, but there is a difference between the free LITE version and the paid for PRO version. We think that for just 99p, you might as well upgrade this easy to use app! TravelSafe Reviews – what the uses say! 5 star review – Great little app. Simple, easy to navigate and helpful. Was very useful to me when travelling. 2 star review – Waste of time. Only has 1-3 main emergency numbers- easy to write down/find out when travelling. UK numbers wrong, so others unreliable. LG gw620. TravelSafe is available for Android only. 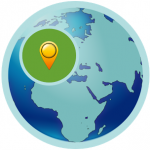 This entry was posted in travel apps on August 28, 2015 by worldwideinsure.